Hello Friends, Good morning from Seattle! The sun is shining and it’s going to be a great day! Before I get to my card! Let me tell you why I am so excited, besides the obvious, spending the next four days with my son! Today while Ty is at work, I am having lunch with my friend Colleen, one of my teammates at STB. I am so thrilled that she went out of her way to come to Seattle so we can meet in person! 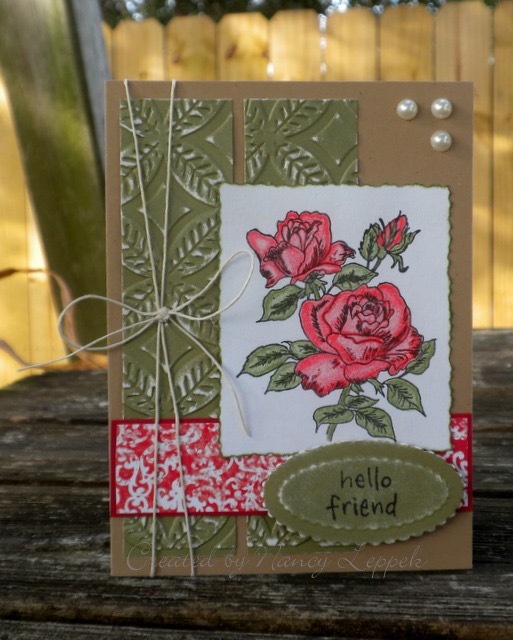 She is bringing another card making friend along by the name of Linda, who is on the Merry Monday Design Team and I can’t wait to meet her as well! I am sure we will all hit it off right away! That is one of the many reasons I love this great hobby of ours, the genuinely good people you get to meet along the way, thanks to the internet! 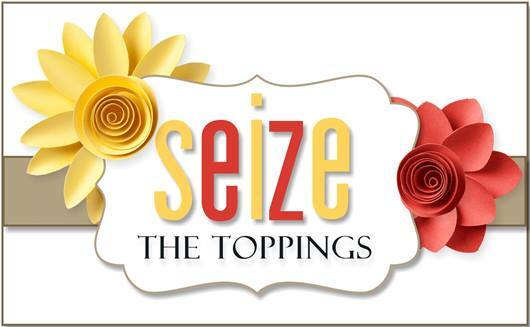 Okay, It’s time to break out those pens, pencils, markers or whatever you choose to color with and join us over at Seize the Birthday for our Coloring Topping. The challenge starts today and runs for about two weeks, so I hope you decide to join us. 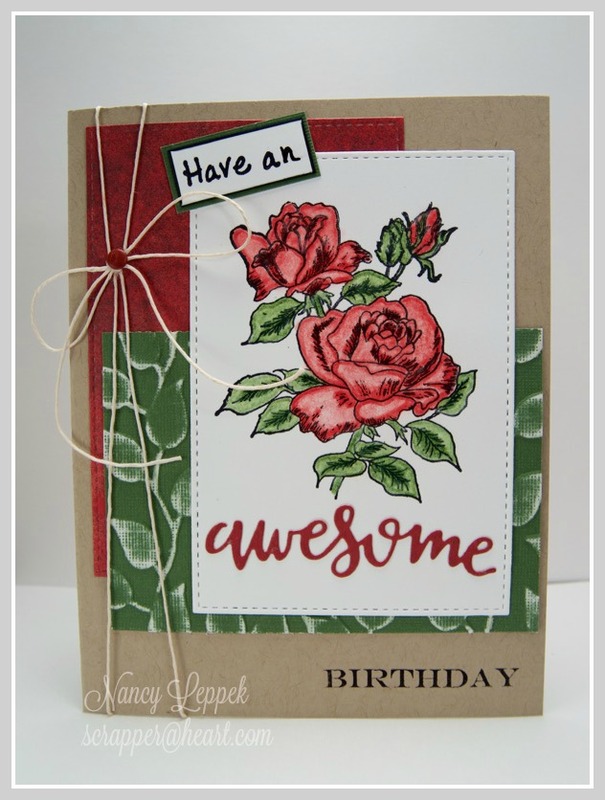 Before I got started, I knew I wanted to use this beautiful rose stamp set, but didn’t know what direction I wanted to take it, until I decided to CASE myself. I chose to color my image with my Prisma colored pencils. The awesome die cut is from Verve, the other word-stamps are a mix and match of pieces of other stamps to make this sentiment work. The EF is from Stampin Up that I sanded for some added texture. Here is a pic of my other card that was made back in 2008 when I first started blogging. Wow, it’s been that long! Before I go, you MUST come on over to Seize the Birthday and take a look at all the amazing cards from my teammates and Surprise party guest Patti. They did an outstanding job! Hope to see you at STB! Time to go out and tackle the streets of Seattle! HUGS! Categories: Cards | Tags: Card making, Cards, coloring, Happy Birthday, prisma colored pencils, rubber stamps, stamping, Verve Dies | Permalink. Have a wonderful!! day! and hug those girls for me too!! I love your card and the stunning coloring! so beautiful and realistic Nancy!! Have a great time with your son too! Nancy, it was so great meeting you today. Such fun and amazing the connection you have with blogging friends. Your card is amazing and the coloring is gorgeous. Beautiful card, Nancy! Your roses are lovely as are your color choices. So happy your were able to spend some time with fellow crafters…..what fun! Enjoy your trip! Beautiful card design. Love the coloring of those roses too! Sounds like a fun event for you….so enjoy! This is just beautiful, love your coloring and the texture on the panel. WHY am I not getting email notices of your posts? GRRRR! Sorry I haven’t been commenting…just didn’t know you were posting anything. I’ll have to look into it. Anyway, your card is gorgeous!!! Oops, just saw the little box down below that I should have ticked. Now maybe I’ll get them. This is gorgeous. I love the pretty roses and your fabulous coloring. Great design and color combo. Gorgeous card and your colouring in makes the rose look real. I love your cards Nancy! How cool that you cased yourself, great idea! That’s a lovely image and you have coloured it beautifully. This is absolutely GORGEOUS!! Should be framed and hung up for display! WOW, both of your cards are AMAZING..it is so fun to look back at old creations~It’s fun to CAS yourself..this is gorgeous! I love the colors and your flowers are fantastic! GREAT coloring! I love both of your cards here Nancy! Red, green on kraft… beautiful designing! TFS!